On March 8, 2017 I got to hear Jared Spool (of UIE) speak about the UX Tipping Point. About ~100 folks attended the Lean UX Meetup at Pivotal Labs in San Francisco. Jared spun (true) tales of organizations that have successfully navigated from UX Dark Ages to Infused UX Design. You can watch a version of the talk at Webstock ’17 on Vimeo. Along the way, Jared outlined three frameworks that can help organizations move through the continuum and reach UX nirvana: Infused UX. 1. How do people understand? 2. 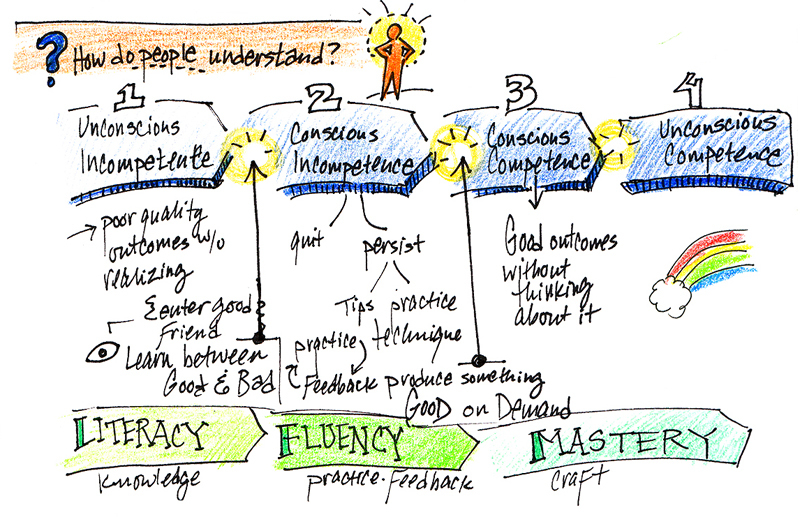 How do organizations mature? 3. 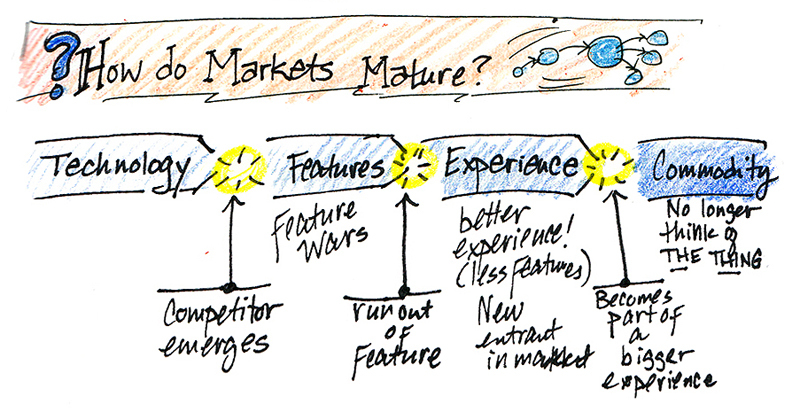 How do markets mature? Jared also has written about this in a series of articles on the UIE site. It was an intriguing talk, and meshes with thinking I’ve explored about mastery and how to hack it. What are the levers that advance an individual or a company through the transition points?